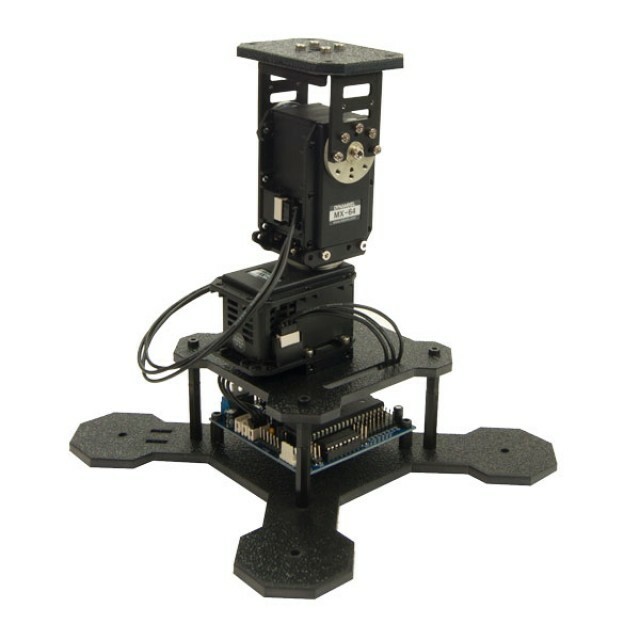 The ScorpionX MX-64 Robot Turret is an extremely high performance Pan & Tilt platform for experimenters, roboticists, and hobbyists, making it easy to get started in the exciting field of physical computing! 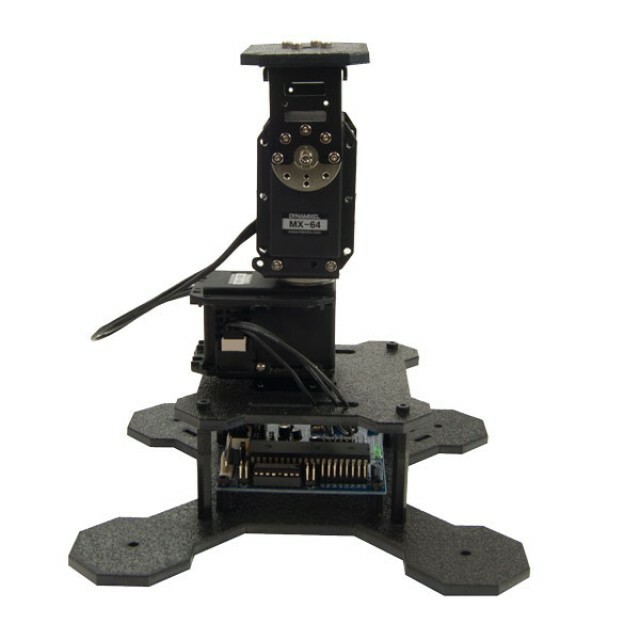 This easy to build kit is based around the exclusive ArbotiX Robocontroller and the massively high torque MX-64 Dynamixel Actuators, granting it some serious payload capabilities. 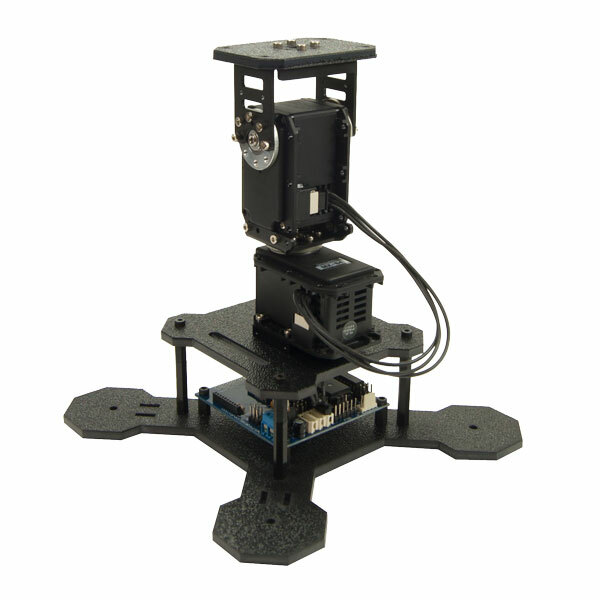 It includes everything needed to build a high performance, fully programmable, Arduino-compatible Pan & Tilt platform. 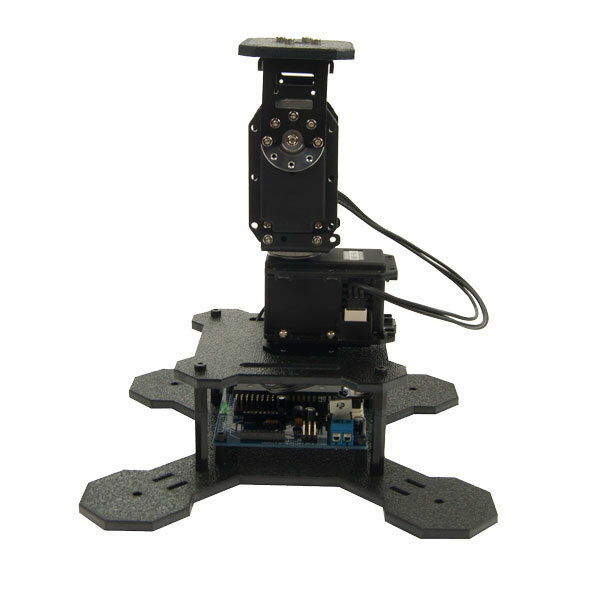 Add webcams, lasers, airsoft guns, a variety of sensors to the available I/O, Xbee wireless link to a PC, PWM Hobby Servos, up to two small DC motors, and additional MX-64 Dynamixel Actuators to customize your project! 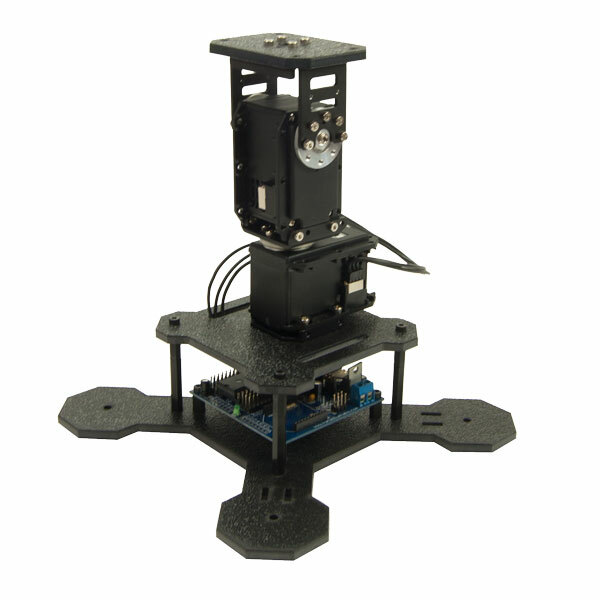 The ArbotiX Robocontroller can also be custom programmed using the Arduino IDE for autonomous behavior using sensory input, or a variety of other custom applications- your imagination is the limit! 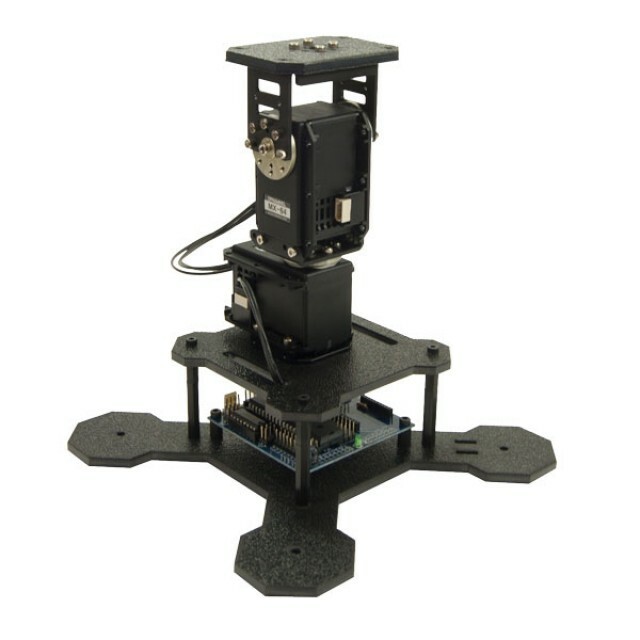 RX-64 FR05-H101K Hinge Frame Set. 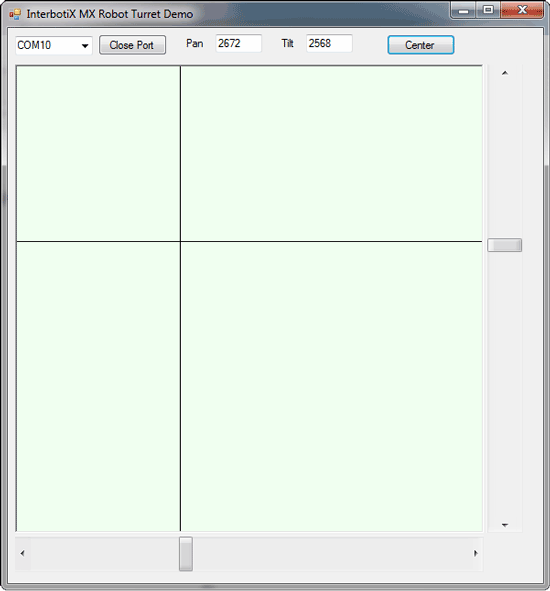 RX-64/EX-106+ FR05-S101K Side Frame Set. RX-64 FR05-B101K Back Frame Set.